AB de Villiers believes Virat Kohli's 'personality and mental strength' makes him the best ODI player at the moment. 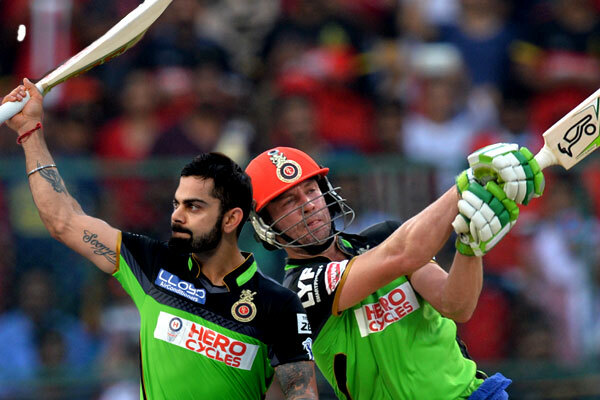 De Villiers, who has retired from international cricket, will be seen batting alongside his Royal Challengers Bangalore captain Virat Kohli in the IPL, beginning on 23 March 2019. Virat's performances over the last while have been incredible and I can't see it stopping very soon. I have played with him for eight years now in the IPL and you can never take the class out of the guy. However, he is human after all and, like any other cricketer, he will go through patches from time to time where he has to go back to the basics and work his way through it again. I believe it's his personality and mental strength that gets him through those moments and makes him the best ODI player in the world at the moment." The Proteas are certainly in the running, but I won't say they are the favourites to be honest with you. India and England are looking strong, Australia have won five World Cups in the past and Pakistan claimed the Champions Trophy in the UK two years ago. "Those four teams are probably the favourites, but the way the Proteas have been playing in the 50-over format of late has been encouraging," he added.